Last night I re-watched the excellent two-hour PBS NOVA special Black Hole Apocalypse, and this time I jotted a few questions down. Has Gaia DR2 improved our knowledge of the distance to the O-star black hole binary system Cygnus X-1 (6000 ly) and the mass of the black hole (15M☉)? Are there any known pulsar black hole binary systems? Could LIGO (and now Virgo in Italy) detect a stellar-mass black hole infalling into a supermassive black hole at the center of the Milky Way galaxy or another galaxy? Do supermassive black holes play a role in galaxy formation? If so, how does a supermassive black hole interact with dark matter? Wouldn’t material infalling into a black hole undergo extreme time dilation and from our vantage point take millions or even billions of years to cross the event horizon? If so, don’t all black holes—even supermassive ones—form from rapid catastrophic events such as core-collapse supernovae and black hole collisions? Gaia DR2 (Gaia Data Release 2) has indeed measured the distance to the Cygnus X-1 system. The “normal” star component of Cygnus X-1 (SIMBAD gives spectral type O9.7Iabpvar) is the 8.9-magnitude star HDE 226868. Gaia DR2 shows a parallax of 0.42176139325365936 ± 0.032117130282281664 mas (not sure why they show so many digits!). This is 20% to 40% further than the distance to Cygnus X-1 given in the NOVA program, and looking at the source for that distance (Reid et al. 2011) we find that the Gaia DR2 distance (7,186-8,371 ly) is outside the range given by Reid’s VLBA radio trigonometric parallax distance of 5,708-6,458 ly. It remains to be seen what effect the Gaia DR2 distance, if correct, will have on the estimate of the mass of the black hole. The estimate of the mass of the black hole in Cygnus X-1 is calculated using modeling which requires as one of its input parameters the distance to the system. This distance is used to determine the size of the companion star which then constrains the scale of the binary system. Because the Cygnus X-1 system is not an eclipsing binary, nor does the companion star fill its Roche equipotential lobe, traditional methods of determining the size of the companion star cannot be used. However, once we use the distance to the system to determine the distance between the black hole and the companion star, as well as the orbital velocity of the companion star, we can determine the mass of the black hole. Now, moving along to the next question, have any pulsar black-hole binary systems been discovered yet? The answer is no, not yet, but the hunt is on because such a discovery would provide us with an exquisite laboratory for black hole physics and gravity. Something to look forward to! Could LIGO ( and Virgo) detect a stellar-mass black hole infalling into a supermassive black hole at the center of the Milky Way galaxy or another galaxy? No. 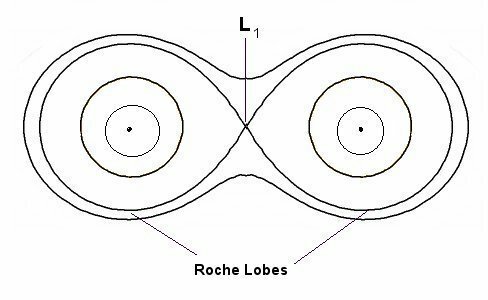 That would require a space-based system gravitational wave detector such as the Laser Interferometer Space Antenna (LISA)—see “Extreme mass ratio inspirals” in the diagram below. The above diagram illustrates that gravitational waves come in different frequencies depending on the astrophysical process that creates them. Ground-based detectors such as LIGO and Virgo detect “high” frequency gravitational waves (on the order of 100 Hz) resulting from the mergers of stellar-mass black holes and neutron stars. To detect the mergers of more massive objects will require space-based gravitational wave observatories (millihertz band) or pulsar timing arrays (nanohertz band) in the case of supermassive black holes binaries within merging galaxies. The future of gravitational wave astronomy looks very bright, indeed! Do supermassive black holes play a role in galaxy formation? Probably. We are not yet able to explain how supermassive black holes form, especially so soon after the Big Bang. Does dark matter play a major role? Probably. The formation of supermassive black holes, their interaction with dark matter, and their role in galaxy formation are all active topics or current research. Stay tuned. When we say that a distant observer never sees matter hit the event horizon, the word “sees” implies receiving an optical signal. It’s then obvious as a matter of definition that the observer never “sees” this happen, because the definition of a horizon is that it’s the boundary of a region from which we can never see a signal. People who are bothered by these issues often acknowledge the external unobservability of matter passing through the horizon, and then want to pass from this to questions like, “Does that mean the black hole never really forms?” This presupposes that a distant observer has a uniquely defined notion of simultaneity that applies to a region of space stretching from their own position to the interior of the black hole, so that they can say what’s going on inside the black hole “now.” But the notion of simultaneity in GR is even more limited than its counterpart in SR. Not only is simultaneity in GR observer-dependent, as in SR, but it is also local rather than global. Mingarelli, Chiara & Joseph W. Lazio, T & Sesana, Alberto & E. Greene, Jenny & A. Ellis, Justin & Ma, Chung-Pei & Croft, Steve & Burke-Spolaor, Sarah & Taylor, Stephen. (2017). The Local Nanohertz Gravitational-Wave Landscape From Supermassive Black Hole Binaries. Nature Astronomy. 1. 10.1038/s41550-017-0299-6. Already early this week you will see an occasional Perseid meteor gracing the sky, but next weekend the real show begins. The absolute peak of this year’s Perseids is favorable to observers in North America, and with no moonlight interference we are in for a real treat—provided you escape cloudy weather. I highly recommend “going mobile” if the weather forecast 24-48 hours before the peak night indicates less than ideal conditions at your location. The Perseids this year are expected to peak Sunday night August 12/13. Highest observed rates will likely be between 2 a.m. and 4 a.m. Monday, August 13. Here’s a synopsis of the 2018 Perseids. Author David OesperPosted on August 5, 2018 August 5, 2018 Categories AstronomyTags Perseid meteor shower, PerseidsLeave a comment on Perseids Ahoy!